Shakespeare was a man of the theatre to his core, so it is no surprise that he repeatedly contemplated the nuts and bolts of his craft in his plays and poems. 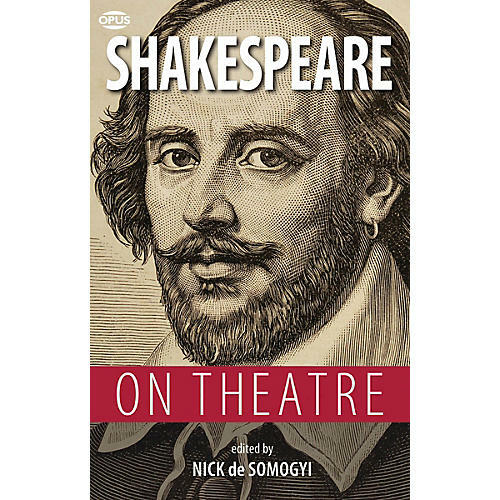 Shakespeare scholar Nick de Somogyi here draws together all the cherishable set pieces - including All the world's a stage, Hamlet's encounters with the Players, and Bottom's amateur theatricals - along with many other oblique but no less revealing glances, and further insights into theatre practice by Shakespeare's contemporaries and rivals. De Somogyi's commentary takes us through the entire process of Shakespeare's theatrical production, from its casting and auditions, via rehearsals, costumes, and props, to its premiere and audience reception. Shakespeare on Theatre eavesdrops on the urgently whispered noises-off in the tiring-house and inhales the heady aroma of the Globe's first audiences.